The Emerald Ash Borer Beetle is the most devastating threat to our landscape in the Twin Cities since Dutch Elm Disease. 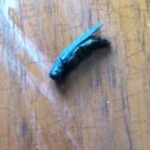 We have all heard of the invasive pest known as the Emerald Ash Borer Beetle. Little is know among the residents of the Twin Cities as to what this invasive pest actually is; except for the fact that it kills our beautiful Ash trees in large numbers. The Emerald Ash Borer Beetle is an invasive pest that attacks and kills Ash trees. 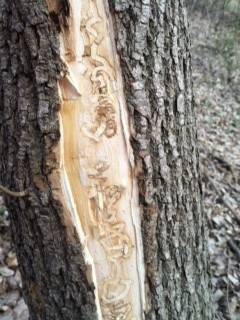 It is important to note that the Emerald Ash Borer Beetle ONLY ATTACKS ASH TREES!!! The Emerald Ash Borer Beetle was first discovered in the summer of 2002 in Michigan. This invasive pest is native to Asia and most likely arrived in the United States via a shipping container. 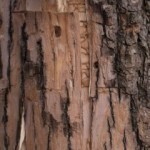 Since its discovery in Michigan, the Emerald Ash Borer Beetle has slowly spread and arrived in the Twin Cities in 2009. The first discovery of the Emerald Ash Borer beetle in Minnesota was made in St. Paul and the spread has methodically continued. As of now Emerald Ash Borer infestation has been confirmed in Anoka, Dakota, Hennepin, Houston, Ramsey, and Winona counties. The Emerald Ash Borer Beetle affects Ash trees in different ways depending on the stage the beetle is currently in. 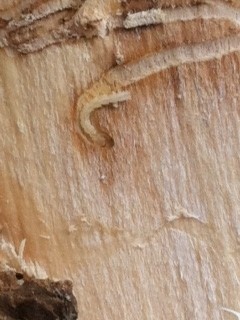 The Larva stage of the Emerald Ash Borer Beetle feed on the inner portions of the tree damaging the vascular system, disrupting the ability for water and nutrients to flow freely, eventually leading to the tree’s death. 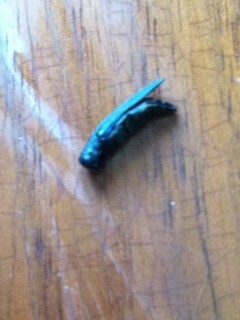 The second is the Adult stage of the beetle. The Adult beetle chew on the leaves and have little affect on the tree’s overall health but can cause your tree to lose its natural beauty. An adult Emerald Ash Borer beetle is easily distinguished from other pest by their metallic green wing covers and coppery red abdomen. An adult Emerald Ash Borer beetle ranges from 3/8 to 5/8 of an inch long. Determining if your Tree is an Ash Tree? Before you can begin to develop an effective Emerald Ash Borer treatment plan you must first determine if your tree is indeed an Ash Tree. There are some very unique characteristics that pertain only to Ash Trees. 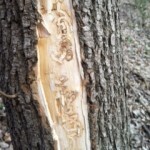 What are the Symptoms of Emerald Ash Borer? There are five main ways to identify if your Ash tree may be infected by the Emerald Ash Borer Beetle. Should your tree show any of the 5 symptoms listed above, it is important to contact a tree care professional immediately to establish and develop a Emerald Ash Borer treatment plan that best fits your needs. Trunk injection has been shown to be far more effective at controlling tree pest and diseases than either soil drenching or spraying methods. ⊗ It takes a considerable amount of time for a soil drenching treatment to fully absorb into your trees root system. √ Trunk Injection places the chemical directly into your tree, killing both the Larva feeding inside and the Adult beetle feeding on the leaves and branches. Aside from being the most effective option for treating your tree, trunk injections are also the most eco-friendly method available. The evidence is clear, when it comes to Emerald Ash Borer treatment, trunk injection methods are far saver than soil drenching and spraying. What are St. Paul; Minneapolis and other Municipalities throughout the Twin Cities doing to provide Emerald Ash Borer Treatment and Prevention? Different cities throughout the Twin Cities Metro are implementing different strategies when it comes to Emerald Ash Borer Treatment and Prevention. For example, the City of St. Paul has implemented a Emerald Ash Borer strategy of “structured removal.” Structured removal involves the cutting down of declining or infested Ash trees. At the same time, St. Paul City officials are providing certain Ash trees with insecticide treatments. The City of Minneapolis is also implementing a Emerald Ash Borer treatment and prevention plan similar to the City of St. Paul. The mind set of these city officials is to select some trees for treatment while removing other to present a balanced approach to their Emerald Ash Borer treatment and prevention plan. 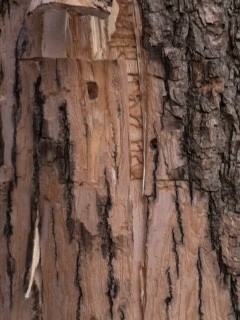 On the other hand the City of Burnsville has revised it’s Emerald Ash Borer strategy. Initially Burnsville city officials focused on cutting down and replacing their Ash Trees. However, due to increased evidence showing insecticide treatment can save Ash trees, along with the cost comparison between treatment vs replacement and removal, the City of Burnsville is now focusing on insecticide treatments and is encouraging its residents to follow the same approach. The City of Eagan is also encouraging residents to pursue treatment and is providing its residents with a list of Tree Services certified to perform Emerald Ash Borer treatments using insecticides. 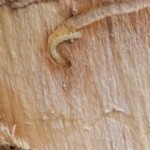 What should I do to Save my Ash Tree from the Emerald Ash Borer Beetle? The best approach to take in protecting your Ash tree from the Emerald Ash Beetle is through education and awareness. As with most things health related, it is better to be pro active rather than reactive in dealing with this pest. Using the Arborjet system and the highly advanced TREE-age chemical, we are able to safely treat your tree, through trunk injection, and provide 2 years worth of protection in one treatment. Contact Sweet Leaf Tree Service today to develop a Emerald Ash Borer treatment and prevention plan.